Nowa, poprawiona i uaktualniona edycja pomaga zrozumieć kraj i jego mieszkańców. 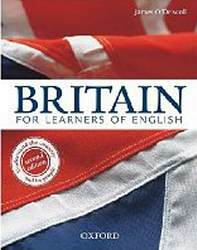 Gives students a real insight into what it means to live in Britain today. Provides the historical and cultural background of British society and institutions, as well as the private daily life of the British people. Charts, graphs, extracts from popular fiction and newspapers etc. provide additional information. Questions at the end of each chapter encourage analysis of the text and cross-cultural comparison. Updated with new photographs and illustrations.